National College of General Nursing and Midwifery,Barnala,Punjab (NCGNM) was established by people with missionary zeal. The institute has its own parent hospital and caters to all the health needs in various specialities. Well-qualified staffs manage the institute round the clock. With state of the art facilities in place like labs, ultrasound, operation theatre and labour room, the institute aims to provide best education and training to its students. Nearest Airport is Ludhiana which is 64 kms from Barnala. Railways- Barnala city is well connected by trains. Nearest Station from the college is Barnala station. Road- The college is situated on KC Road which is connected to state highway number 71, The college also owns its own transportation. 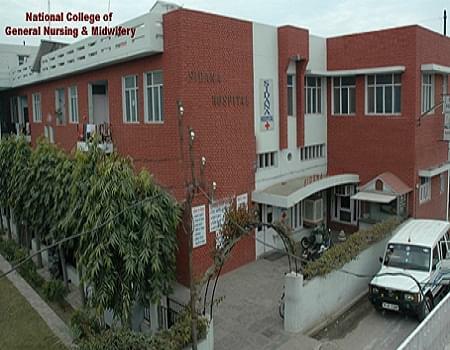 A fully equipped hospital as a parent hospital – Sidana Hospital is the parent hospital of this institute. It has state of the art facilities thereby providing a good infrastructure for practical experience and training. Well stocked Library – The institute’s library has 400 books on nursing and related subjects. It also has modern teaching aids. Nursing Practise Laboratory – The institute has a fully equipped nursing practice lab including demonstration beds, dummy dolls and washbasins with running water facility. Separate community practice lab- A lab with community set up is available for the students. Audio Visual Aids- For better understanding of the subject, audio visual aids are used like film and slide projector. Transport- the institute provides its students with transport facility. Hi Sir, You may please contact to this number:- 01679-238411, 01679-241411 for getting the relevant information.